NCT BIG PUSH on Wimbledon Common - Join Us? Exciting news! We’re looking for 10 lovely people to join our team for the NCT BIG PUSH on Wimbledon Common! 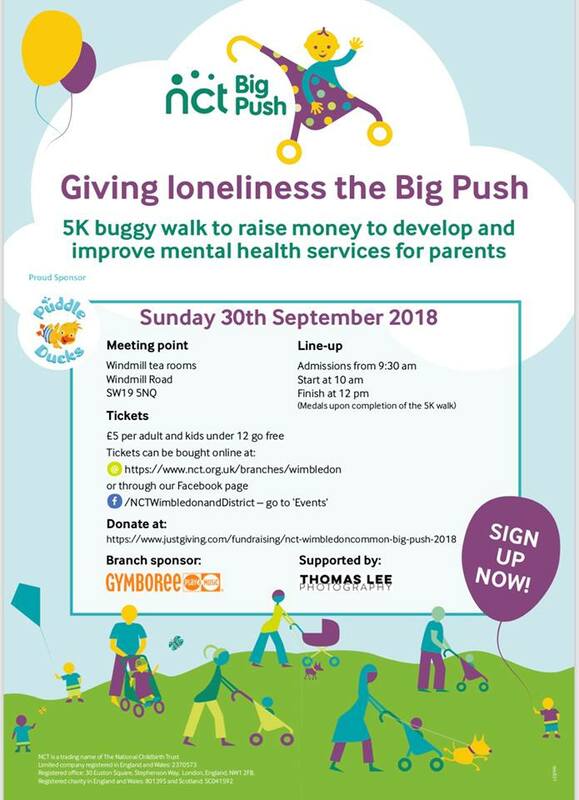 Join us for a 5K buggy walk on 30th September to raise money to develop and improve mental health services for parents. Tickets are just £5, AND if you enter as part of our Buggyfit team, you’ll also receive a FREE BUGGYFIT T-SHIRT to wear on the day plus 2 CLASS PASSES! All you need to do is register online here https://www.nct.org.uk/branches/wimbledon-district-28 or head over to the NCT Wimbledon & District Facebook page. Then comment below to let us know you want to be on our team! Comment below or message us if you'd like anymore info. We're looking forward to seeing lots of you on Wimbledon Common on the 30th Sept! Run A 5k or 10k With Us! At HA fitness we love being part of a team, we also love running! We want to share these passions & invite you all to join us on a team run. We've chosen The Capital Runners Richmond Park 5k or 10k on Sun 13th Dec.
Sign-up for the Capital Runners Richmond Park 5k or 10k & then contact us to let us know. The HA team will taking part on the day, motivating all of our runners around the course. We'll also team you up with other HA fitness friends who'll be running at a similar pace to you. So whether you're looking to be at the front or near the back, run as part of the HA team & share the training, the race & the fun!